Last week’s big news was our Midway Fireburner. Our special guest, Robert Cromeans, joined me to announce the top 10 schools at the midway point. Congratulations to the top 10 and to every school for your hard work so far! We know the best is yet to come, so please keep sharing your victories, photos, and great ideas. Remember: If you’re not in the top 10 right now, or you haven’t reached your goal yet, IT’S NOT TOO LATE! This is the 13th year we’ve been doing this, and we know that, historically, more money is raised in second half than in the first. With a little less than four weeks left, this is the perfect time to get re-motivated and excited about what your school can do. HERE’S A VERY IMPORTANT REQUEST – On Tuesday, April 5, please report your school’s current FUNraising total. I will keep your total confidential, if you like (I know some schools are having a friendly competition) but please send in your school’s total on April 5 so we can recognize the Top 10 schools on our Midway Fireburner Webinar! First 100 – 45 spots left! Our “First 100” contest is filling up fast, with 55 winners so far. That leaves 45 spots! Remember, the First 100 Future Professionals, team members, and national educators to raise $3,000 will go to the FUNraising Gala in May and receive a day of hands-on education with Ruth Roche, Takashi, and Tim Storey. 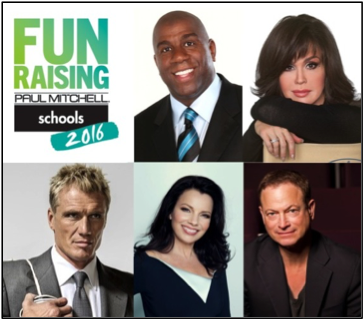 Our confirmed Gala special guests include Fran Drescher, Kathy Buckley, Marie Osmond, Dolph Lundgren, Eden Sassoon, and John Paul DeJoria! For up-to-date news about how many spots are left, check my “Winn Claybaugh” Facebook page. 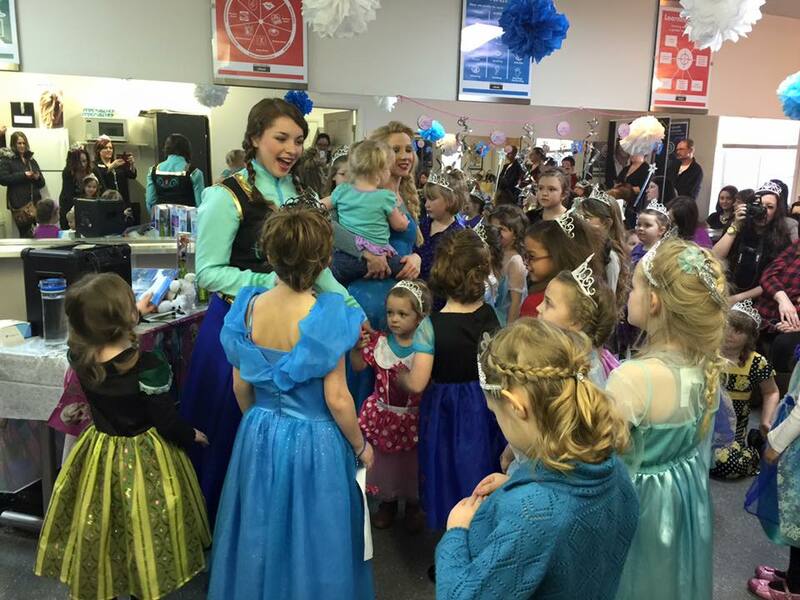 Many of you have written in about your wonderful FUNraisers, ONE Events, and First 100 winners. We’re off to an exciting start and I’m SO proud of you! Included in this email are some amazing victories from the last two weeks, so keep reading till the end — and keep those victories coming! Would You Like a Personalized Video from Winn? 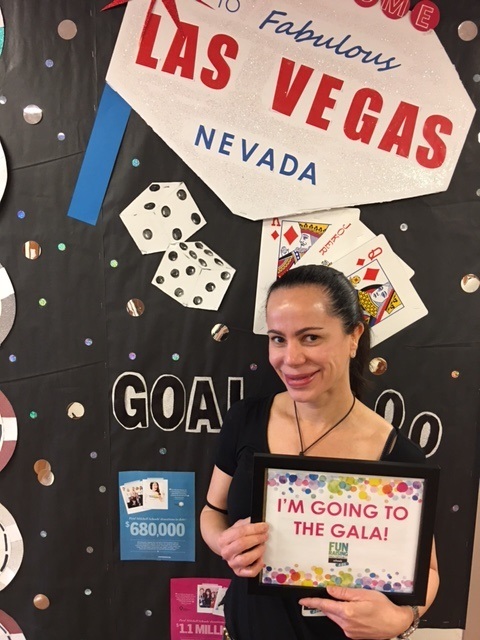 (BEVERLY HILLS, Calif. – May 5, 2015) The results are in! After three months of cut-a-thons, fashion shows, princess parties, and thousands of other “FUNraising” events, the 14,000 Future Professionals and staff members from 110 Paul Mitchell cosmetology schools raised $1.7 million in their 2015 FUNraising campaign. Proceeds will benefit 11 major nonprofits and several smaller charities chosen by Paul Mitchell Schools in their local communities. (BEVERLY HILLS, Calif. – May 4, 2014) – After three months and literally thousands of hair shows, casual days, cut-a-thons, and “FUNraisers,” more than 13,000 cosmetology students from 110 Paul Mitchell Schools raised over $2.1 million for 11 selected charities, bringing their 11-year total to more than $13.3 million. This year’s total was announced at the annual FUNraising Gala, held at the Beverly Hilton and hosted by actor, producer, cancer activist Fran Drescher and Paul Mitchell Schools’ Dean and Cofounder Winn Claybaugh. 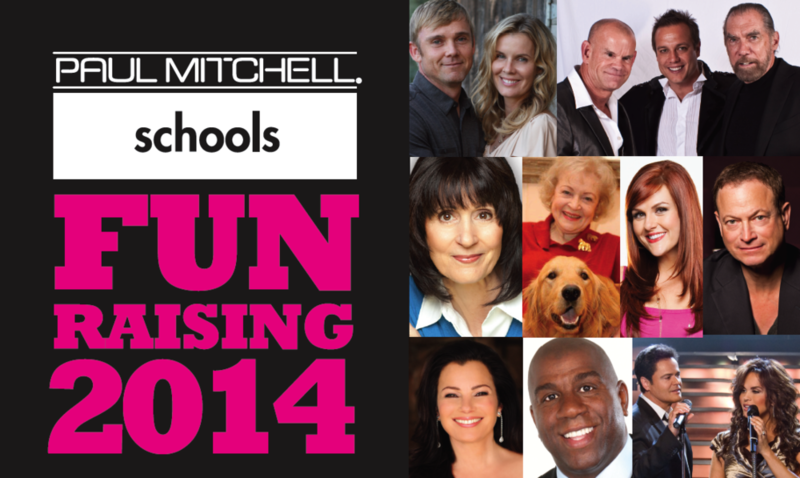 Paul Mitchell Schools kicked off their 11th annual FUNraising campaign on January 28, 2014. Students and staff members from over 100 Paul Mitchell Schools schools will spend the months of February through April raising money for charitable organizations. Their goal: $2.5 million. Their partners: A star-studded celebrity lineup representing 11 spectacular charities. (BEVERLY HILLS, Calif. – May 5, 2013) – At a time when most nonprofits are seeing declining donations, 16,000 cosmetology students and staff members from the nationwide network of Paul Mitchell Schools raised $2.6 million in three months, surpassing their goal, hitting their tenth consecutive all-time high, and bringing their grand total to over $11.2 million. The 10th anniversary celebration was a full-scale love fest at the Beverly Hilton’s International Ballroom, with Winn and co-host Kathy Buckley recognizing and acknowledging guests from the 11 supported charities along with many superstar celebrities and industry icons in the audience.